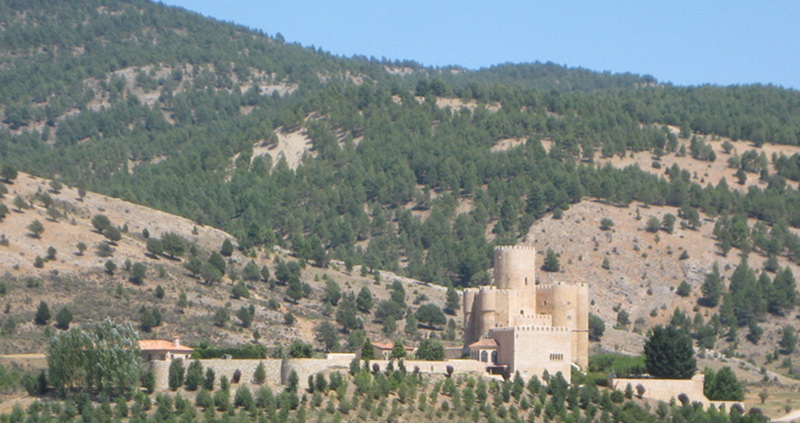 Magnificently preserved, its fortress appearance is commanding. But additionally it has very unique architecture, with a square floor plan connected to an arch with eight very tall circular turrets. The original fortress, from the 13th century, is what is the current core of the castle in the shape of a D, surrounded by eight turrets. The tower keep was covered with tiles. The main entry gate has a spectacular rounded Romanesque arch. The interior of the parade grounds is distributed in a series of living spaces, attached to the wall, like an interior city. 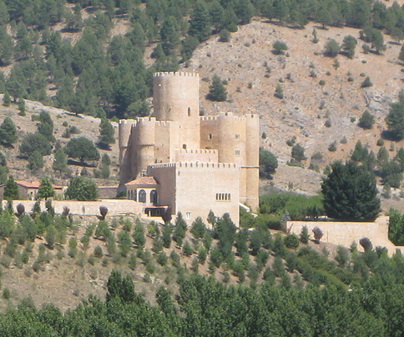 The upper turrets are evidence of a reform in the 15th century, that adapted fortresses to artillery uses. Not visitable, you can only see it from a distance. 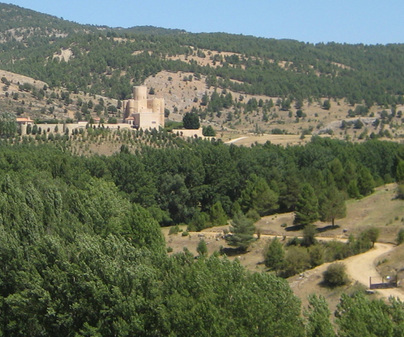 At the edges of Salvacañete we find the beautiful landscape ofla Cruz de los Tres Reinos (Cross of the Three Kingdoms), a peak 1560 meters high, joined borders of Castile, Valencia and Aragón.